It’s no surprise that this season’s hot color is coral. In the past, it has been very muted and quiet, but not anymore. 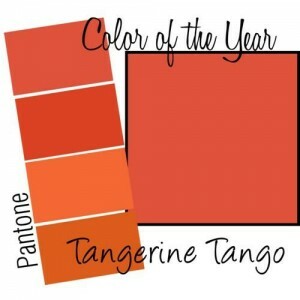 Pantone’s 2012 Color of the Year is a vibrantly warm “Tangerine Tango” and designers everywhere are loving it. It is SOOOO out of the box. Bold, empowering, daring, and drastic. There are no maybes with this color. You are either going to wear it, or you aren’t. You’re in or you’re out. Nothing in between. Go bold or go home. Me?… the leader of the most elaborate closet filled with blacks and whites, was deathly afraid of any color in the orange family. I have red hair. That was enough for me. Or so I thought. On a trip to the mall with my daughter one day last week, I found I couldn’t go anywhere in any store without finding this tangerine color being integrated into fashion, glamour, makeup or accessories in one way or another. 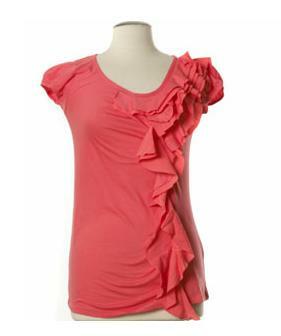 So, without trying it on, I bought a top in this hot color and it totally changed my outlook for summer. It looked fab, gave me a kicked-up attitude, and it WAS bold! How much did I like it? So much that I went out the day after and bought three other shirts in the same color family. Makeup: You don’t want your skin to look coral with a “fake bake” tan so keep your natural skin tone and emphasize your eyes and lips to catch the wave of the hot tangerine color. Remember, BRIGHT orange on your eyes or lips can yellow out your skin tone so make sure you use a light hand when applying your colors. Also, don’t hesitate to calm down the brightness of the orange hues by muting them with white, beige, or sand shades underneath so they aren’t so overpowering. Sassy’s Picks: Maybelline Super Stay 14 hr. Lipstick in Keep Me Coral, $ 6.99 (most retail locations); LA Minerals Mineral Eye Makeup in Sunset Inferno, $8.95. (LAMinerals.com); L’Oreal Paris Infallible 8 Hr. 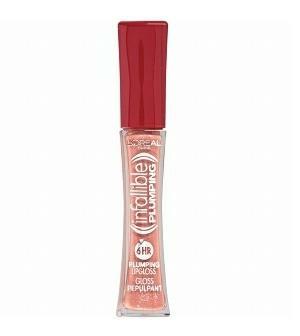 Plumping Gloss in Plumping Coral, $8.99 (most retail locations). So you ready to go bold? Go bright? Be daring? Be dazzling? 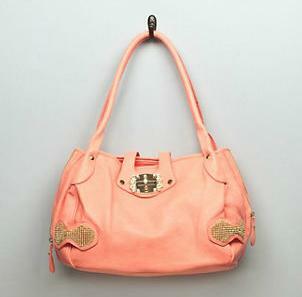 Then hunt down this year’s hottest color, “Tangerine Tango” and make your summer look POP! Take some time to try on some clothes, some shoes, grab a handbag, or test some flashy makeup shades and make this HOT season’s color work for you!